I can’t believe it’s been 3 years since I made the decision to become healthy. There are days it seems like just yesterday that I started on the path to this lifestyle, and then there are days where I can’t imagine living the way I did. The fast food runs, over sized portions and constant bonding with my couch. I cringe when I think about all of that, but without it, I wouldn’t be the person I am today. Looking back, I’ve come a long way. I haven’t eaten McDonald’s in well over 2 years, my body craves exercise and healthy foods and then there’s the 100+ pounds I’ve lost as a result of those things. Oh and let’s not forget my recent surgery. THAT is something I never dreamed I would be doing when I started all of this. I am a completely different person than I was three years ago and I am so grateful for that. I know that I have added years to my life with the choices I have made. It’s also nice to know that I no longer have to wish I can shop in certain stores and trying on new clothes is something I enjoy doing now. One of the things I love the most about my journey, is knowing that I have inspired so many people along the way. I am one of those people who tend to be very hard on themselves. I don’t easily give myself credit for what I accomplish, so when I receive e-mails, messages and comments from people whom I have inspired, it’s very touching. It also in turn inspires me to keep going and to be the best ME I can possibly be. If you asked me three years ago if I would ever be able to do the physical things I can now, I would have said you were crazy. I am forever amazed at what my body has been able to do, how strong it can be and how much I have grown mentally. There is nothing I can’t do …as long as I get out of my own way. Ha! The mental battle of this journey has been the most difficult but most amazing aspect. It’s all about mind over matter, seeing is believing and having confidence in yourself. Thank you to everyone who reads my blog, comments on my posts and keeps me motivated! 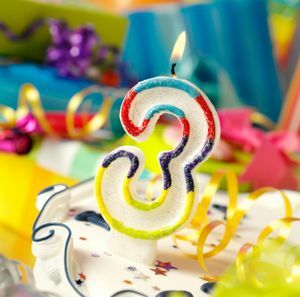 Congrats on three years! That’s awesome! You’ve done so well! Good for you! And you certainly have paid it forward by encouraging many people. I have my weight loss anniversary on my calendar too. Partly it’s a reminder to celebrate where I am now, and also it was worth commemorating how long it took me to get there. I wish I had people like you around a lot sooner!